NYC, 02/07/2019, 11:00AM. 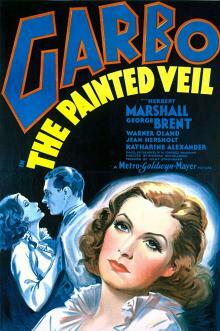 The Painted Veil (1934): Story of a neglected woman starring Greta Garbo. 85 min. Director: Richard Boleslawski. Starring Greta Garbo, Herbert Marshall, George Brent. It is based on the 1925 novel The Painted Veil by W. Somerset Maugham. The Painted Veil earned $1,658,000 at the box office.